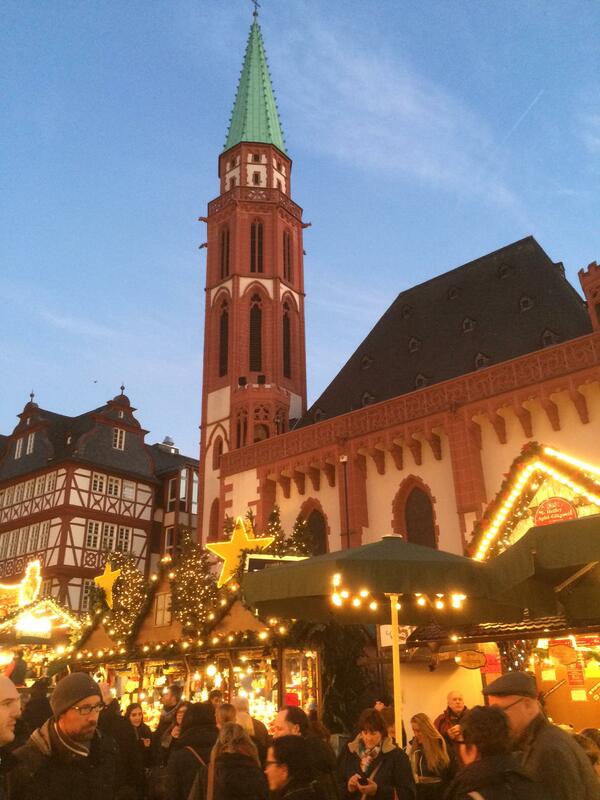 We arrive in Frankfurt, Germany, for the Christmas Markets. The Frankfurt Cathedral, Frankfurt Germany. 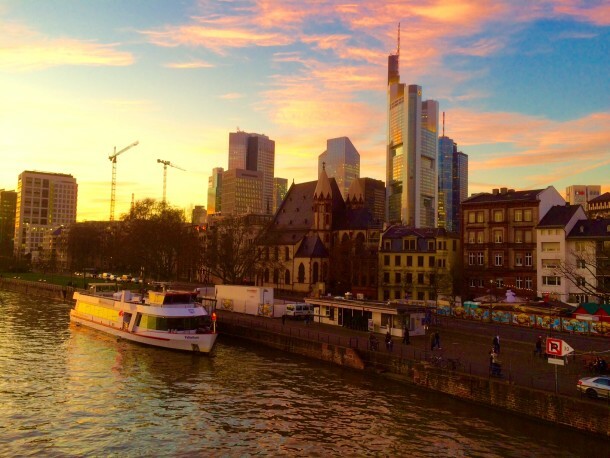 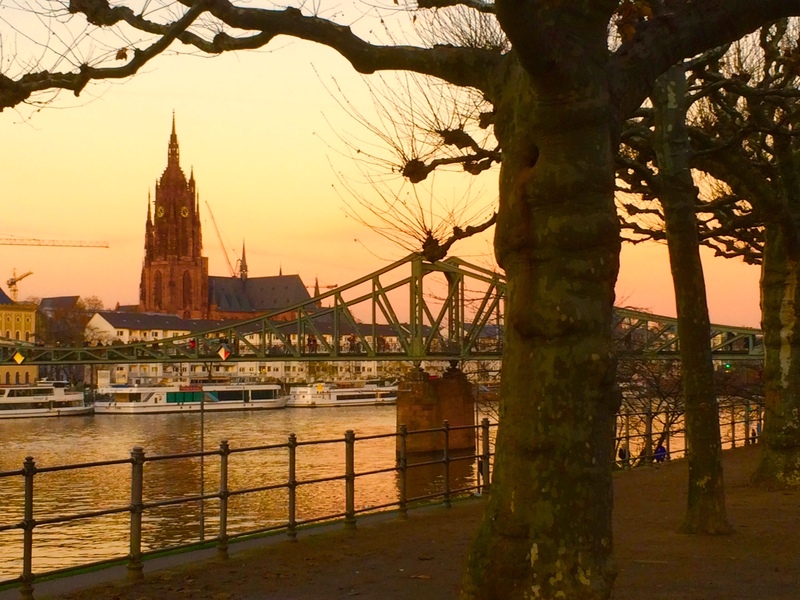 The Main River, Frankfurt, Germany. 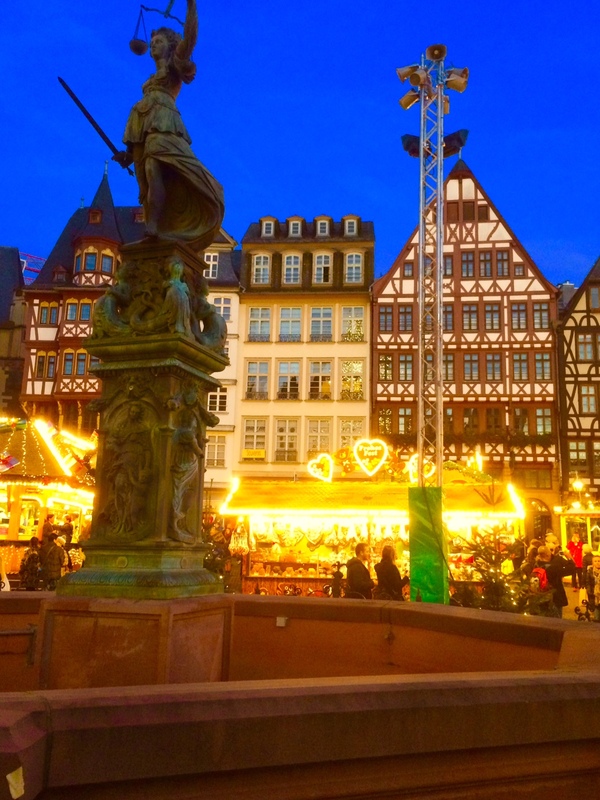 The Christmas markets in Frankfurt, Germany. 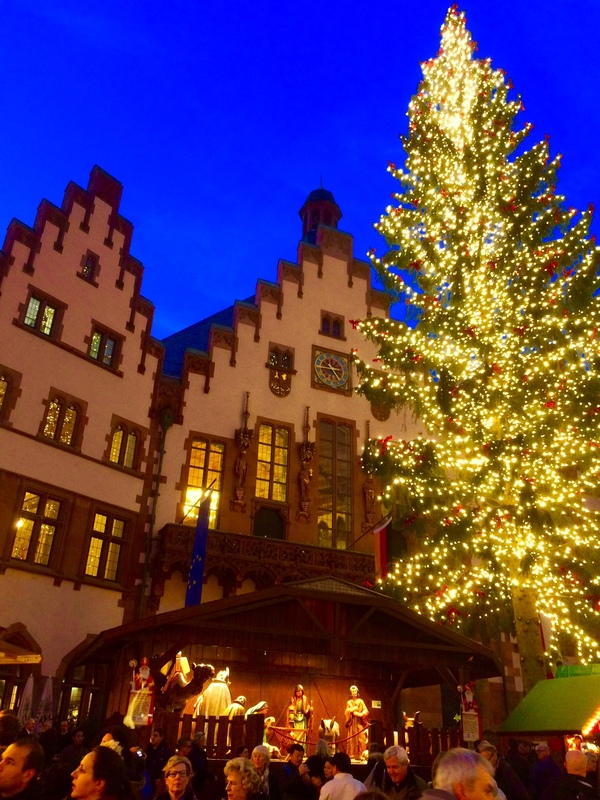 The Christmas tree in Frankfurt, Germany’s main square. 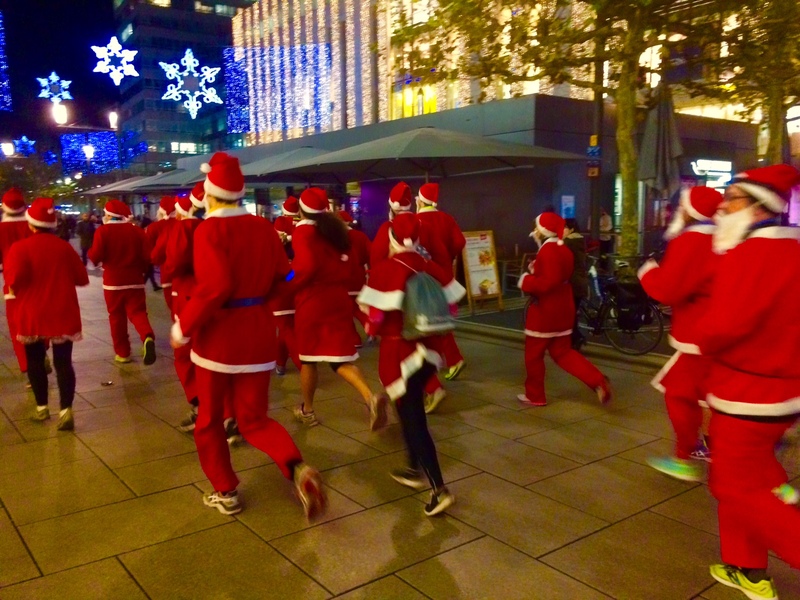 The traditional “running of the Santas” in downtown Frankfurt, Germany. 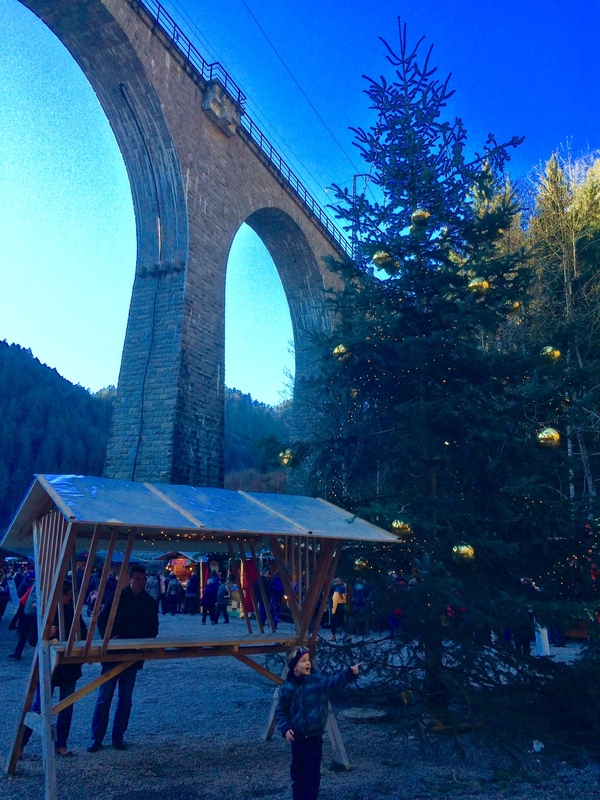 The high trestle above the Ravennaschlucht Christmas Markets near Freiburg, Germany. 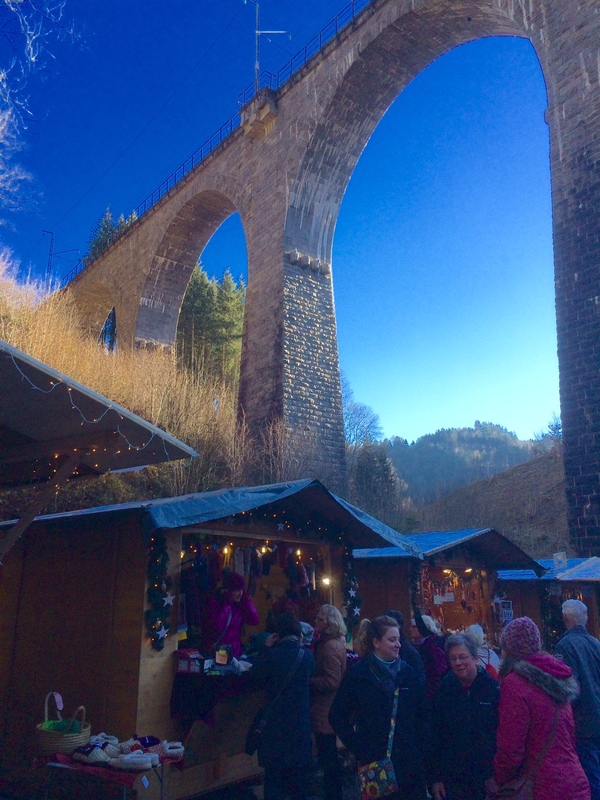 Booths at the Ravennaschlucht Christmas Markets near Freiburg, Germany. 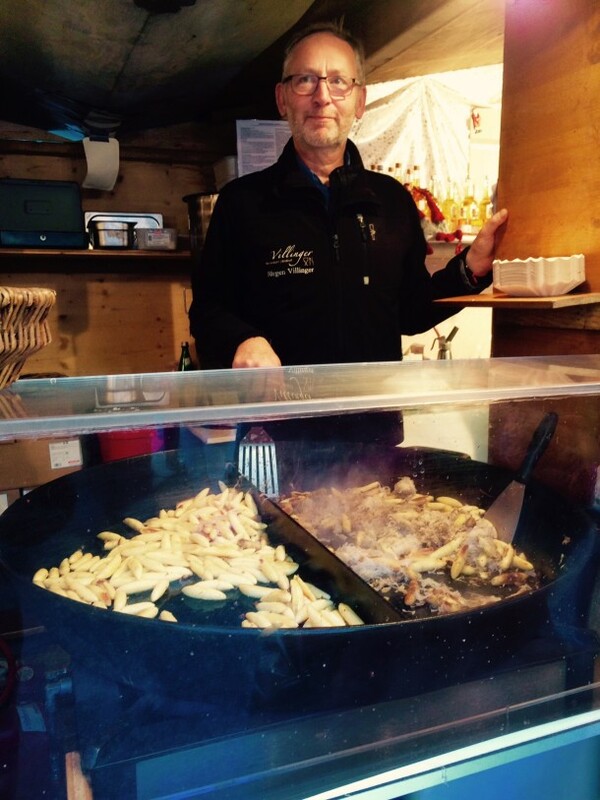 A favorite Black Forest dish, sauerkraut, bacon and potato dumplings. 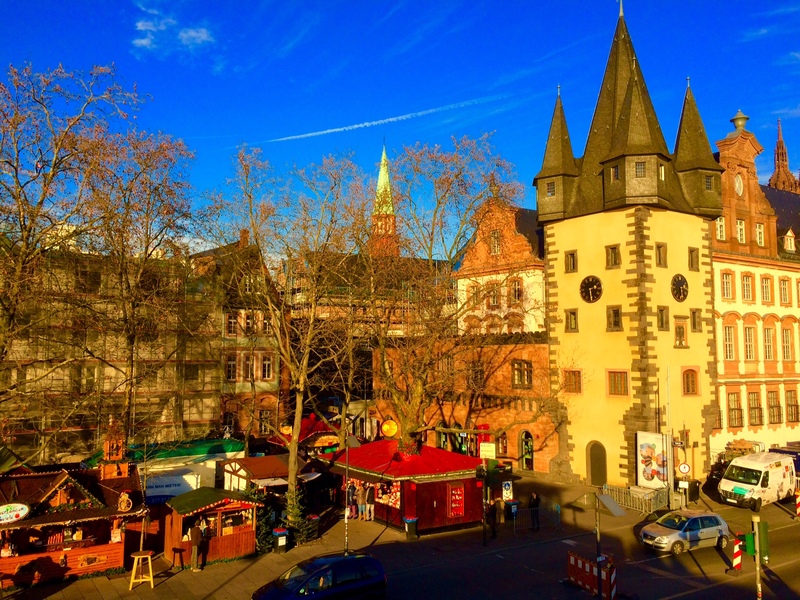 Ravennaschlucht Christmas Markets near Freiburg, Germany.